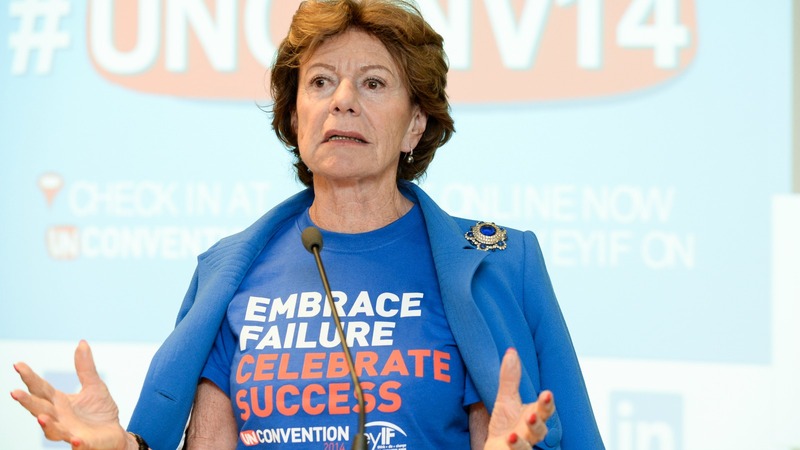 Kroes was named in a new cache of 1.3 million offshore files, leaked to the International Consortium of Investigative Journalists, as being a director of Bahamas-based Mint Holdings Limited between 2000 and 2009. The EU code of conduct states that “Commissioners may not engage in any other professional activity, whether gainful or not”. Kroes’s legal team told international newspapers, including Britain’s Guardian, that their client “agrees that formally she should have declared this directorship”. “Mrs Kroes will inform the president of the European Commission of this oversight and will take full responsibility for it,” they told the Guardian. The legal team added that Kroes, a Commissioner between 2004 and 2014, had believed Mint Holdings had been liquidated in 2002, and that she had not been paid for her role. A Commission spokeswoman said that Kroes had now informed them about the directorship, and that “we will check and analyse this information before we decide” what action to take. The company was set up by a United Arab Emirates private equity boss as a vehicle to potentially secure half the international assets of energy giant Enron, shortly before its collapse, but the $7 billion (€6.3 billion) deal fell through. 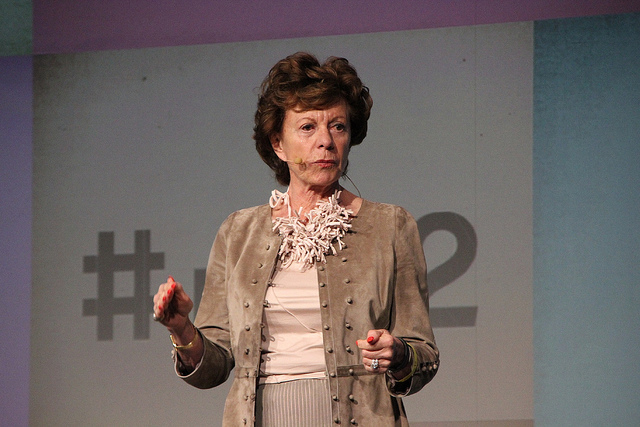 Kroes, now a paid adviser to Bank of America and Uber, earned a steely reputation in Brussels after taking on Microsoft, E.ON, GDF Suez and other corporate giants in her monopolies-busting role. The Commission on Wednesday (27 February) imposed a new record fine of 899 million euros on Microsoft for abusing its dominant position, raising the bill charged to the Redmond software giant thus far to almost 1.7 billion euros. However, she recently took the side of Apple against her successor, Competition Commissioner Margrethe Vestager, in the giant case in which the California technology giant has been told to reimburse Ireland €13 billion in unpaid taxes. British-based campaign group Tax Justice Network said the leaks revealed the Bahamas to be “a global menace” to the international tax system. “For many of us who study tax havens it was just a matter of time before a major scandal hit the Bahamas,” said the group’s Moran Harari. The UK’s new Interior Minister Amber Rudd was also named in the leaked data on 175,000 companies as having been a director of two Bahamas-based firms during her pre-political business career, according to The Guardian. The files revealed Rudd was a director of two companies, Advanced Asset Allocation Fund and Advanced Asset Allocation Management, between 1998 and 2000. Britain is one of many countries that have vowed to clamp down on the use of offshore tax havens, and revelations that a senior minister may have profited from a regime that imposes no income, corporate or wealth taxes on individuals investing in offshore companies are likely to raise uncomfortable questions for the government. Rudd, 53, previously defended former Prime Minister David Cameron when it emerged he had held shares in his late father’s Bahamas-based investment fund, which he sold before he took office in 2010. 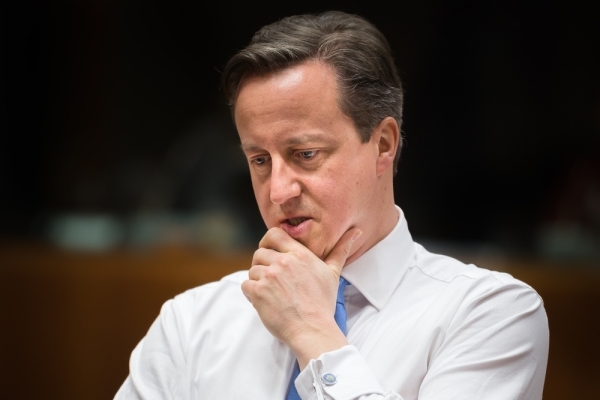 The storm unleashed by the so-called Panama Papers continued to gather strength, as British Prime Minister David Cameron admitted benefiting from his father’s offshore trust. Rudd, who was energy minister at the time, told the BBC that “the prime minister and his family paid the correct amount of tax that they were due”, and said that she personally did not have any money in offshore trusts. In a press release, the delegation of the French socialist MEPs point out the protection Kroes got from former Commission President José Manuel Barroso at the time of her confirmation as Commissioner, although the European Parliament had voiced concerns over possible conflicts of interest. “Kroes and Barroso symbolize the same unacceptable drift, of the conflict of interest of politicians, who spend more time to help themselves rather than to serve citizens”, the socialists MEPs say. Furthermore, they advise her current employer Uber to get rid of Kroes. Oxfam International’s Executive Director Winnie Byanyima stated that the ICIJ’s latest exposé into tax abuse in the Bahamas underscores again how prolific it is - and how accepted - it is among many of the world’s most powerful business leaders and politicians. “This comes as President Obama said only yesterday that the world will not be stable as long as the richest 1% control the same wealth as the other 99%. Many of those in the 1%, along with multinationals, use tax havens like the Bahamas to shore up their wealth by not paying their dues at devastating expense to the rest of humanity. “It's estimated that tax dodging by multinational companies costs countries around the world up to $240 billion annually, while this abuse by corporates and individuals leads to poor countries losing $170 billon in desperately needed revenues each year. What a bunch of crooks this EC. We started with le capi di capi di Mafia, Barroso, now we have the world’s largest fraudster ever, Juncker & his Camorra. Chapeau for the brits, with their Brexit they alowed us to see the continental wide corruption and the EU anti-democratic policy. As you can see, & as I have long asserted, the UK leads the world in institutionalised corruption – with the Tory-vermin party leading the pack as they have done for close on 200 years. By contrast – mainland Euros are a bunch of amateurs. The UK, giving Latin American banana republics lessons in corruption. her dad was a crook & it seems that she was involved in all sorts of dodgy dealings – & yet is considered by “Maggie” May (the current UK PM) to be fit to be “Home Secretary” – as I have said – nobody does corruption quite like the Tory-vermin – & it does seem that the current crop of ministers are corrupt in quite a spectacular fashion – following in the footsteps of Dave, tax dodger & pig fancier Camoron. One does wonder what contributions the Chinese are making to tory-vermin party funds – now that Hinkley has gone through.